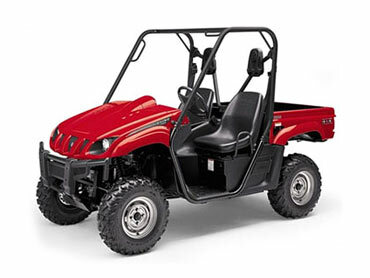 Yamaha Motor Corp. USA recalled about 120,000 off-highway recreational vehicles for repairs Tuesday, after two models were involved in 46 deaths. The two-passenger vehicles are designed for drivers over 16 years old with valid drivers licenses, although some reported deaths involved younger children who were passengers or who operated the vehicles against recommendations, according to the Consumer Product Safety Commission, which announced the recall. All Rhino 450 and 660 model vehicles were recalled for repairs designed to prevent accidents that resulted in 46 deaths and hundreds of injuries. The reported deaths occurred between the fall of 2003, when the vehicles were first distributed, through this year. More than two-thirds of the incidents were rollovers. According to the CPSC many of these involved turns on level ground at relatively slow speeds. A number of incidents also involved riders not wearing seat belts. The repairs are designed to reduce rollover risk, as well as to improve handling and keep riders' limbs inside the vehicles. Rhino 450 and 660 owners should stop using these vehicles and call their local dealer to schedule an appointment for repairs. They can also receive a free helmet. Sales of these vehicles have also been suspended for repairs. This is the first government recall of this category of recreational vehicle. For more details, call Yamaha at 800-962-7926.